Expensive massage chair models may have it all or they may not. The extensive set of features may look great to you appealing, but the price tag is usually dissapoint. Is it possible to have what most top chairs offer at a relatively inexpensive price tag ? Infinity Iyashi massage chair with its space-like design isn’t too appealing at first, but a wide array of its features could convince even more demanding users. According to countless online Infinity Iyashi massage chair reviews (most reviews are fake BTW), this model can provide a variety of therapeutic benefits. We TESTED this chair and also we are keep monitoring countless reviews of this luxury massage chair to help you make the right decision. Infinity Iyashi massage chair claim to be designed for casual users and those who suffer from chronic back pain. It suppose to accommodate people up to 6’5,” and it promise not take over your living area if space is an issue. Iyashi comes with an inbuilt hybrid design. 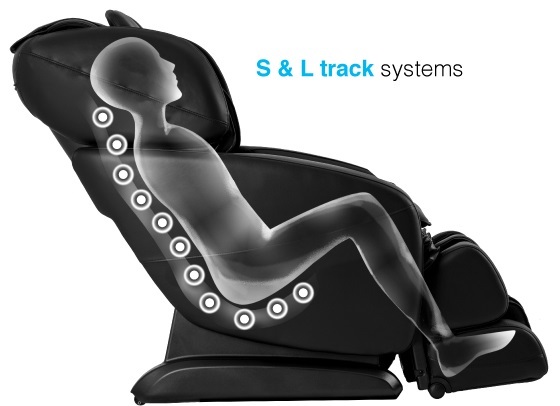 The S-track design enables the quad rollers to follow the natural curve of your spine. At the same time, the track extends much further, all the way to the glutes and thighs, because of the L-track design. The 49” roller track is a nice welcome. It may not seem important, but even some pricier models come only with an S-track. This feature is quite common in a lot of massage chairs, but it’s also very beneficial. 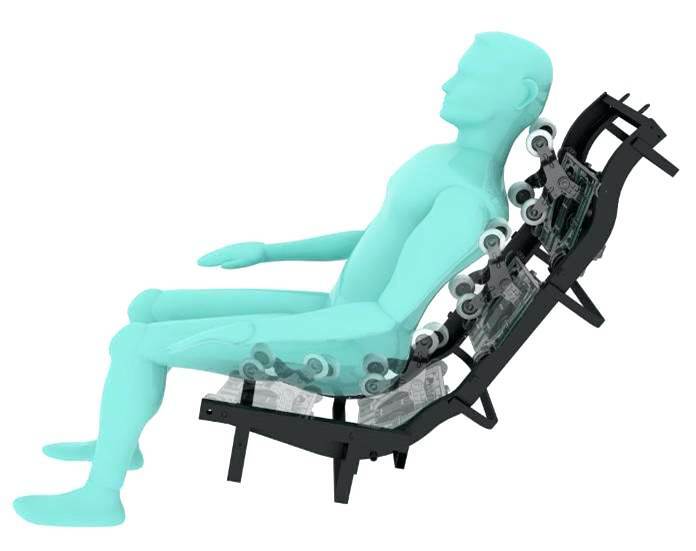 The chair scans your body and locates the pressure points. That’s how it improves the overall quality of the massage. Iyashi also enables the user to manually adjust the rollers in case the chair missed a pressure point. Moreover, you can so adjust the desired width of the massage. All in all, this addition is very beneficial and enables a more thorough massage. Zero-gravity feature improves the massage experience by providing a more thorough and deeper massage. Initially inspired by NASA, the massage chair keeps your heart below your knees in reclined position. When your body weight presses down against the rollers, the massage is more satisfying. Infinity Iyashi boosts with extended massage options for all types of demands. There are six massage techniques available: kneading, tapping, knocking, a combo of tapping & knocking, shiatsu, and rhythm. Usually, massage chairs offer a combo of kneading + tapping, but Iyashi combines tapping and knocking. While strange at first, a lot of Infinity users are very pleased with this feature. The Rhythm function is not an actual massage technique. The users are able to adjust the speed and intensity level settings. At maximum intensity, the massage could be considered as a deep tissue massage. Zone massage mode is a welcome feature that many users can benefit from. When the rollers hit a sensitive spot on your back, you can stop the massage and adjust the rollers to focus on that particular area. They also cover an area of 6 inches around the sensitive spot. 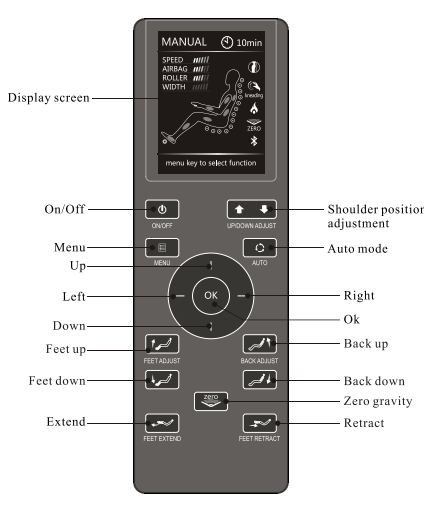 Partial massage mode is similar to the zone massage. The difference is, that it covers a much wider area. You can easily return from this mode to the massage program you were on before switching to this mode. 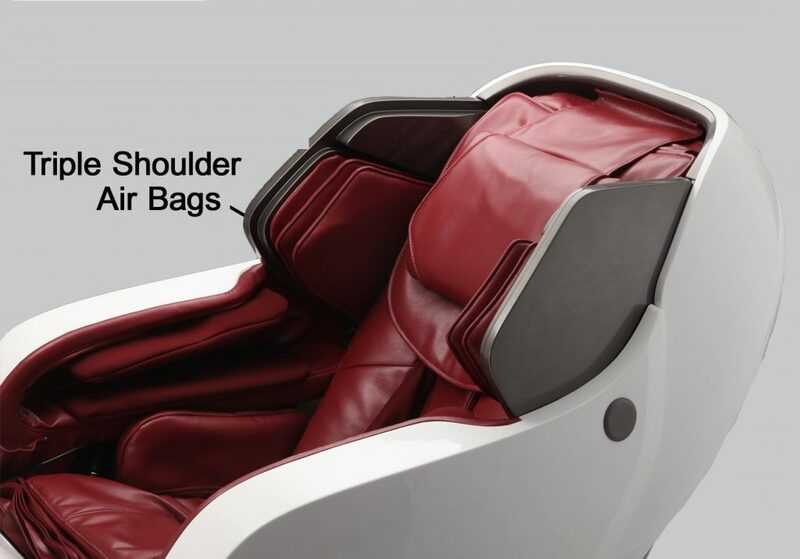 Infinity Iyashi comes with 38 airbags, placed around the chair to enable customization and boost the massage experience. Moreover, it also offers six intensity setting of the airbags. The customers can choose between a full-body massage or a massage of a specific area: head and neck, shoulders, arms, glutes, calves, and feet. A very therapeutic and beneficial feature, the body stretch is something many look forward to. It’s intended for those suffering from chronic back pain. The stretch provides almost an instant relief by taking off the pressure from your spine. This is a chiropractor’s trick that can be done from the comfort of your home. The drawback is that the stretch is strong and may cause discomfort if your back pain is intense. The Iyashi however, provides a solution for that as well. You can use the waist twist function, which is a gentler version of the body stretch. Another beneficial feature of the Iyashi, but the heat cannot be controlled. Even though inconvenient, this is a very common feature with most of the massage chairs on a budget and even those in a higher price range. The drawback it that the chair only provides low back heat therapy, but not calf. For a massage chair with such extensive features, this is a bit of disappointment. There are a lot of airbags placed in the leg ports of the massage chair, which enables an excellent and soothing massage. 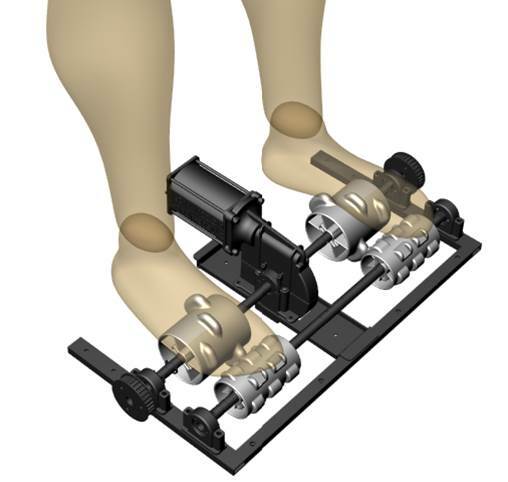 There are also dual feet rollers, which can be adjusted to three different speed levels. This is a beneficial and well-designed feature because most massage chairs lack the ability to customize the foot massage. On the other hand, the users can regulate the speed of the foot rollers, but not the intensity levels. This would be a simple addition to the whole package. A default massage time is 20 minutes, but you can adjust the duration anywhere between 10 to 30 minutes. An odd feature yet a must with some users. There are blue LED lights on the sides of the chair which provide a soft glow to help you relax in a dimly-lit room. With a wide number of features, the Infinity massage chair has to offer; the remote control is actually very easy to use. There is almost no learning curve, and you can even control the chair via your smartphone. The company developed an interface for Android and iOS devices. The Infinity massage chairs are made by The Infinite Therapeutics company. It is a part of the Infinite Creative Enterprises, I.C.E. While the company has distribution centers on both, the East and the West coast, their office is located in New Hampshire.Apart from the Infinity Iyashi, you can find 13 other massage chairs on their website, Infinity IT-8500 being also one of the more well-known models. The company offers live technical support for those struggling with using the chair. According to some reviews, the company doesn’t accept returns. Make sure to double check; we weren’t able to find any other information on the subject. Lyashi massage chair is manufactured in China. It comes with a 3-year warranty on parts and labor; you can view the full warranty here. 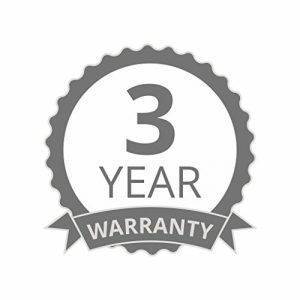 For an additional fee, the users can purchase the extended one-year or two-year warranties on parts. Iyashi massage chair comes in various colors: black, black & caramel, white & berry red, white & black. The chair is delivered in four different boxes. Because it’s very heavy, we recommend purchasing the White glove delivery. Apart from that, the Iyashi massage chair weighs 285 lbs. and it’s able to accommodate users up to 285 lbs. and 6’5”. There is a user manual available on the company’s website, as well as the assembly guide. 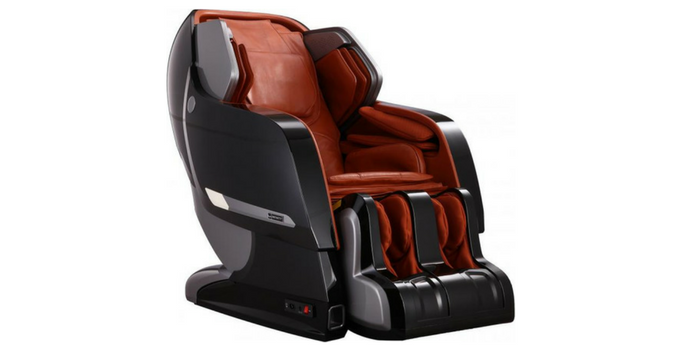 The Iyashi massage chair comes with extensive features that are more common to the higher price range models. Infinity Iyashi is user-friendly, adjustable, and therapeutic. It has some minor drawbacks that can easily be overlooked since it’s highly functional with its therapeutic benefits and casual massage options. One thing we didn’t like is the fact that the company doesn’t provide the best customer support. Supposedly it also doesn’t accept any returns. Apart from that, this massage chair packs the ultimate features many people find pleasing: space-saving technology and 49” track design. Recommended for anyone, you don’t have to worry about placing the chair in a small living area. At the same time, the L-track design extends much further than the traditional roller tracks.